Located in the Chihuahuan Desert with the Pecos River running directly through the city, TDS cable community Carlsbad is a city in the heart of some of New Mexico’s most spectacular natural beauty. It’s a short drive from Carlsbad Caverns National Park, Lincoln National Forests, Brantley Lake State Park and 55 miles south of the city is Guadalupe Mountains National Park in Flat, Texas. Sea ledges, desert wildlife, cactus, and flowers are just some of the natural attractions found on the surface of the Carlsbad Caverns National Park. 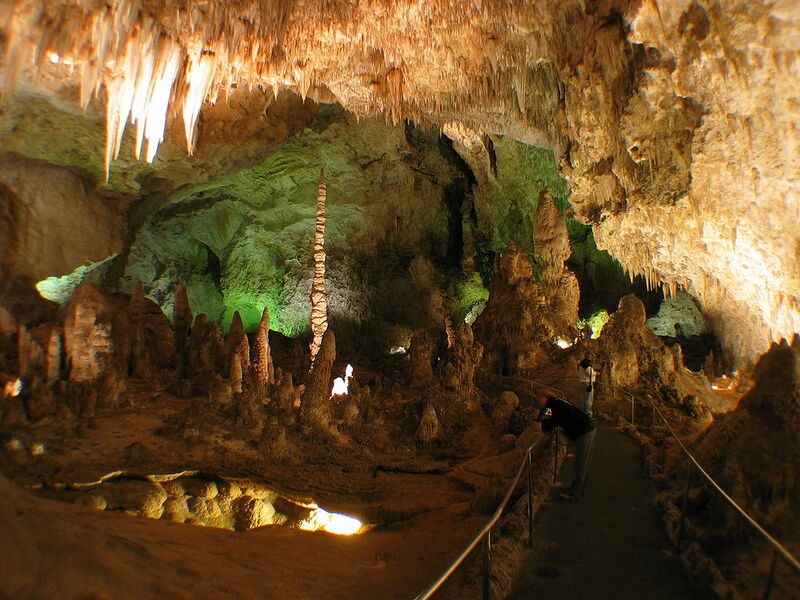 For the more adventurous, miles of hiking trails exist below the surface through hundreds of underground caves. Where there’s caves – there’s bats. Each night at dusk between April and October, thousands of bats of numerous species, such as Brazilian free-tailed, fly out of the caves to begin searching for food. With the Carlsbad Bat Flight Program, visitors can gather in the Bat Flight Amphitheater to witness this phenomenon and learn more about the different species and their habits. After a night of hunting, the bats return to the caves at dawn. When visiting Carlsbad, you can experience dry deserts and lush waterfalls all in one trip. Lincoln National Forest, 40 miles northwest of Carlsbad, offers numerous hiking trails and the Sitting Bull Falls. This series of waterfalls begins with several springs meeting and then dropping 150 feet into a canyon below. Fun Facts: Lincoln National Forest was named after Abraham Lincoln, and it’s the birthplace of Smokey Bear. 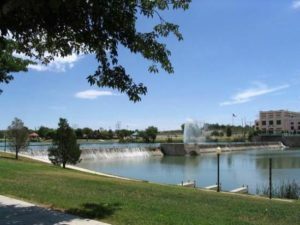 Twelve miles north of Carlsbad lies Brantley Lake State Park, where many enjoy boating and fishing during the 300 sunny days per year. The views here for sunsets or stargazing are amazing. The City of Carlsbad and its volunteers have launched the Historic Cavern Theatre Rehabilitation Project, an effort to revive the Cavern Theatre in downtown Carlsbad. Built in 1951, the theatre was formally used to show films, but has recently been mostly vacant. There has been a push to turn the theatre into a performing arts center. The committee is determined to turn this historic building into a modern commodity. Learn about the local history and geography at the Carlsbad Museum and Art Center, New Mexico’s oldest municipal museum. The museum displays both permanent and temporary exhibitions of regional artifacts and art free of charge. Local Celebrity: The late actor Bruce Cabot was born in Carlsbad. He is best remembered for his role as Jack Driscoll in the 1933 film King Kong. In Carlsbad, TDS has about 18,000 customers. In the state of New Mexico, TDS has 119 employees and paid $4.2 million in taxes in 2016.